As an international organization, with the back office based in India, Exes Group attaches great importance to corporate social responsibility. Not as a charity but as part of our core activity. As an international organisation, with its back office in India, the Exes Group attaches great value to corporate social responsibility. Not as charity but as part of our core activity. Due to its strong economic growth in recent years, India has grown from a developing country into a country with an emerging market, better career opportunities and an increased living standard. This is a positive development with a noticeable effect on the Indian society. However, this effect is not yet visible in all segments of the population. 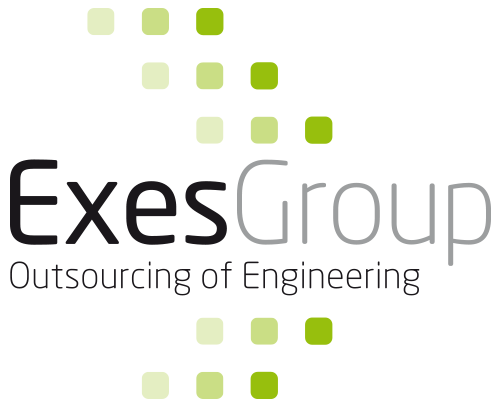 To promote the latter, the Exes Group contributes to small-scale initiatives that directly affect the local population. In the last few years, the industry in the region of Aurangabad has strongly developed. The CMIA, representatives of small, medium and large industrial companies, saw opportunities in the field of industrial production and economic activities. Small and/or starting local entrepreneurs lack the financial means to start a company. They invest in capital goods for production while the demand from the market is increasing. To meet this growing demand, the Marathwada Auto Cluster was established in 2013. The Marathwada Auto Cluster is a joint production facility where entrepreneurs can set up businesses free of charge for one year. They can make use of, for example, milling machines, laser cutters, bending machines and various training programs at very low costs. The step from a good idea to its realisation is thus made significantly smaller without the need for a pre-investment. The Auto Cluster not only provides industrial services, it also offers an education to children who are no longer attending regular schools. Many children have to work at a young age to help make a living for their family. This is at the expense of their development and their opportunities on the labour market. The Auto Cluster approaches children from the region and offers them an opportunity to follow classes for several days per week. In addition to theoretical subjects, these children receive computer training and lessons in sewing and tailoring. This enables them to make their own money. Some inhabitants of the region around Aurangabad do not have houses with access to clean and safe drinking water. As a result, there is an increased risk of infections and serious diseases such as typhoid fever. To solve this problem of clean water, the Exes Group supports various initiators in setting up water projects. Together, we have succeeded in connecting the houses in this region to a source of clean drinking water to minimise the risk of infections and diseases. Would you like to stay informed about these projects? MThen sign up for our newsletter!